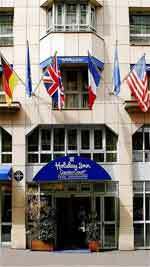 Holiday inn garden court Montmartre Paris is a charming hotel totally refurbished, located in the heart of montmartre with the Basilica Sacre Coeur place du tertre and The famous cabaret Le Bal du Moulin Rouge. Park your car in our garage because you will have direct access by metro or bus to most of the famous places like Eiffel Tower, Champs Elysees avenue, Louvre museum, stade de france for Rugby matches, Opera, departments stores Galeries Lafayette and Le Printemps. 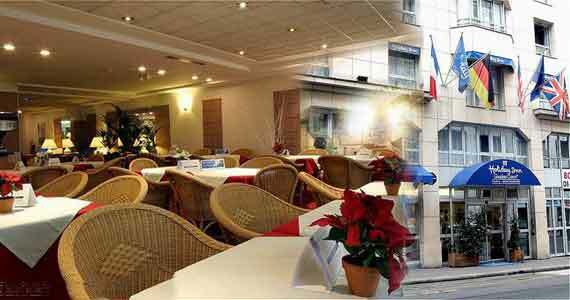 If you want to come in Paris for business, the hotel is well located nearby most of the biggest company located in Saint-ouen, Clichy, Saint-denis, La Defense, the exhibition center Villepinte and a direct access by metro to Paris-expo porte de versailles. The hotel is equipped with the WI-FI internet access and if you are a priority club member, you will get a 2 hours connection for free. 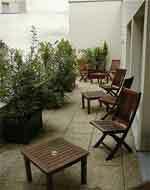 So welcome to Holiday-inn Garden Court Paris Montmartre.